kerosene heaters and Victorian lamps. Every Day Carry (EDC) items, carefully chosen and tested. APO & FPO - all orders over $20 are sent via Priority Mail. Updated March 9, 2019 - CLICK REFRESH for latest inventory. 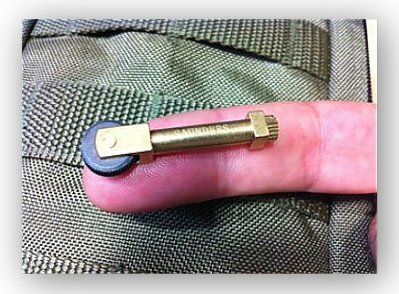 Brass Flint Wheel Sparker - A real survival tool! Stoke Kit - Includes (1) Micro SparkWheel: 1 1/2" overall. Brass construction. Optional one or two-handed operation. (2) Light-Me Tinder pieces and (1) B. A. S. E. Case 1.0: 3" overall with orange anodized aluminum housing, screw-top cap, O-ring sealed, lanyard hole, keyring and attachment clip. Keeps all components dry until you need them. Quick and convenient kit for starting life-saving campfires. Hang packaged. These are extremely tough and useful. There is room in the sealed case for some 0000 steel wool or a pack of Tinder Sticks. If you want concealed carry, wrap the case with dark tape. 8-Pack Baddest Bee Fire Fuses - THEY WORK!!! 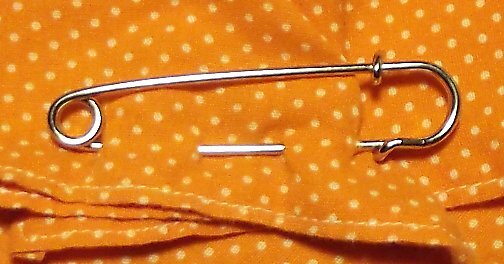 Large ''safety'' pins are extremely useful for fastening bandannas and blankets with a sturdy multiple-contact stitch so they will not tear out, as illustrated above. 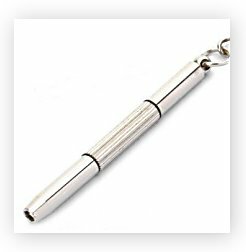 Made of strong spring steel with an electroplated nickel so they do not rust or bend under stress. 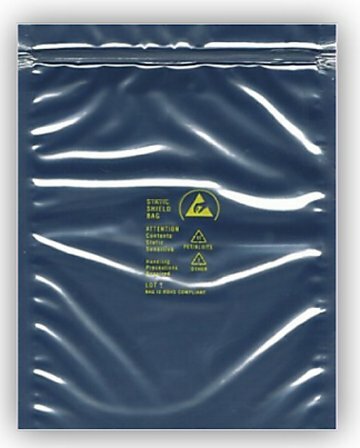 The 4" pin can also be used to attach small bags to Molle straps on packs. 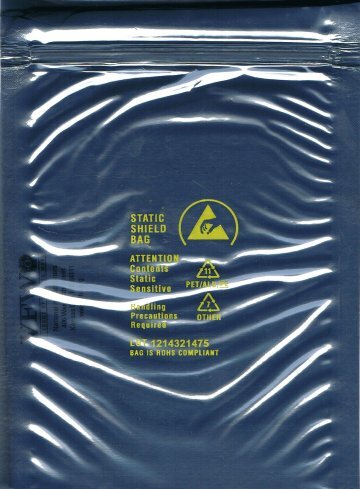 Static Shielding Bags for EMP Protection. 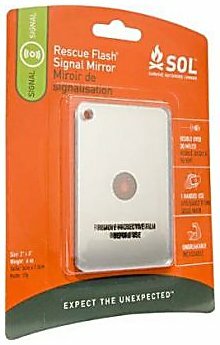 Shields electronic items from electric energy discharges and prevents static build-up. 3.1 mil transparent metallic film. 4-layer protection guards against charges inside and out. 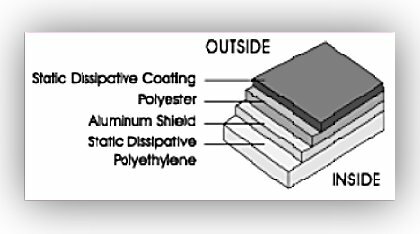 Metal "Faraday cage" layer shields products from electric energy inside and prevents static build-up. 3.1 mil transparent metallic film. A surface charge from EMP will dissipate quickly by itself without the need for grounding the bag. 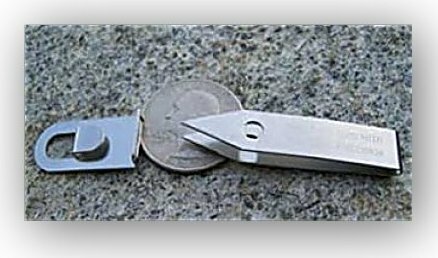 Microtool and Sharpener - 2 3/4" overall without keychain. 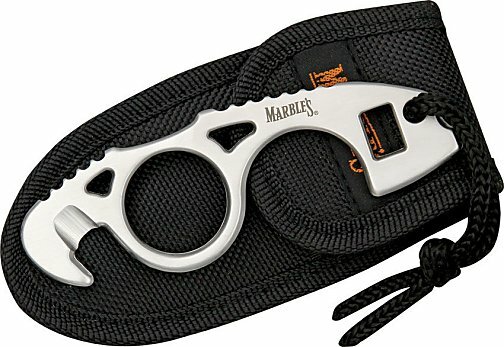 Very sharp seat belt cutter, carbide knife sharpening blades, flathead screwdriver (tightens Weaver scope rings), bottle opener and large keyring. Black aluminum sides. Designed by Tom Stokes. This tool should be on every car ring! No larger than many keys, it will always be within reach with keys in the auto ignition. 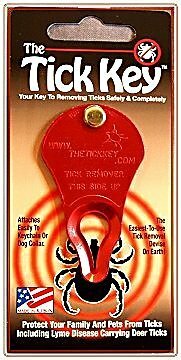 The key ring provides all the leverage needed to cut through a seat belt in an emergency. And the knife sharpener really works! These are very high quality and should last a lifetime. Just in time for hunting season - the Marbles Skinning Tool. It is made of one solid piece of stainless steel and measures 4 1/2" (114mm) with a 3/8" (9mm) curved cutting edge which can be sharpened when it dulls. 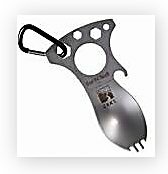 The grip portion of this tool has a full finger loop to fit man sized fingers as well as traction ridges to provide excellent control. Fuel canister designed to hold enough fluid to fill a standard Zippo. Air hole on nozzle cap aids in easy re-fueling. Canister cap has rubber washer to stifle leakage, flint holder, flint screw tool, split ring key ring and a swivel clip! Great EDC item for spare fuel to start a fire in wet weather! $11.95 - Back in stock! This is no ordinary magnesium fire stick sparker. The magnesium stick itself is over 2 3/4" long and 5/16" in diameter - enough material to last for years of use. And, it is big enough for even large hands to hold it! $3.95 Click here for more details. Good old flint and steel sparker lighter. Electro-polished brass construction. Fill with naptha lighter fluid or Coleman Fuel and the 0-ring seal will keep the fluid from evaporating for up to six months. 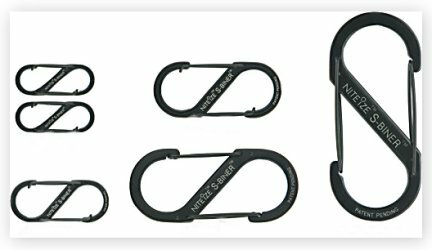 Hang on a keychain or use as a key fob or zipper pull - it will be ready when you are. Well made, with nice, smooth threads to keep the halves together for safety. Rounded bottom. Dimensions: 0.564" wide, 2.035" tall. Weight: 0.9 oz. $8.95 For more information click on the lighter at left. The incredible Mr. Funnel - if you haven't seen the video at www.mrfunnel.com, watch it now. 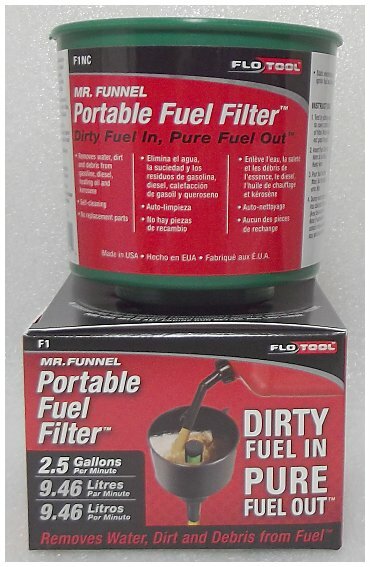 This is a MUST HAVE for anyone who stores fuels. 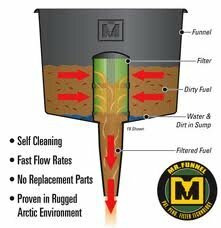 Just pour the fuel through Mr. Funnel and it instantly removes water and debris. There is nothing else like it on the market. Just pour the contaminated fuel into the filter and the water-free fuel flows through. Any water that was in the fuel will stay in the funnel - just dump it out when you've filled your appliance. To clean, just turn it upside down and whack it onto a hard surface. Nothing to replace, ever. I carry only the smallest Mr. Funnel Water Filter, the F1C model, as this size is sufficient for cleaning the fuel used in kerosene heaters and similar appliances. Small, lightweight, and easy to pack and carry with you. GLO-TOOB is a unique safety light that is very useful. 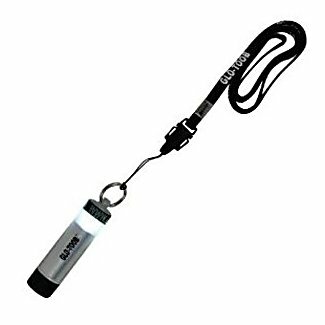 Extremely sturdy and waterproof, it is a light to be seen as well as to see with. 360 degree viewing. Neck cord so children can be seen at night. I put one on the collar of my dog so she can be seen at night even from a considerable distance. 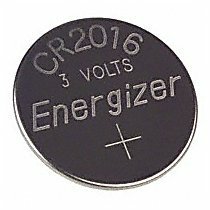 Uses one AAA battery with up to 15 hours of light. Three modes; constant on 100%, constant on 25%, and flash. Weight: 1.2 oz. Size 2.95'' x 0.75''. List price $24.95. 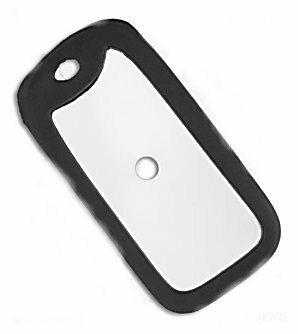 Now $18.95 with neck cord and AAA battery. 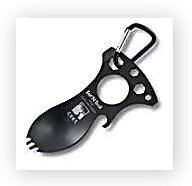 This QuIck-Detach keychain swivel has a ball bearing and is very easy to quickly attach and detach with one hand in the dark - straight push in, pushbutton for release. 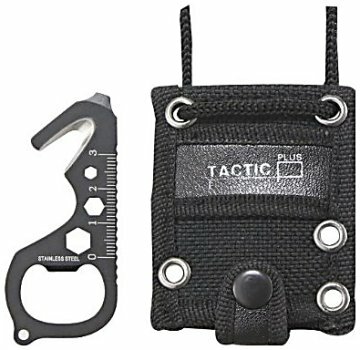 Ideal for attaching a Glo-Toob to a dog collar...or for attaching EDC items to a belt loop for instant use. Includes two sturdy round split rings. 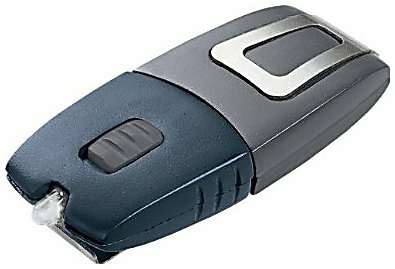 Mora Clipper Companion. 9" overall. 4" carbon steel blade. Thick blade (.125") much stronger than traditional Mora knives. Very hard steel that holds an edge that made Mora knives famous. 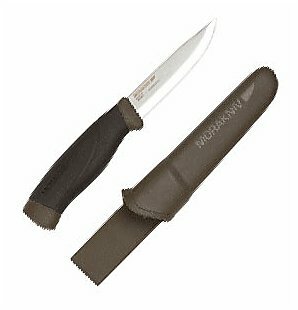 OD green composition handle with a smooth black rubberized overlay with Morakniv logo. Olive green molded belt sheath with water drain hole. 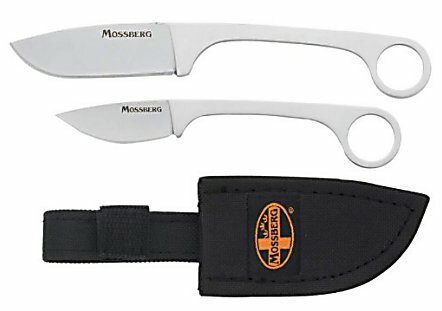 Great design and perfect size for use as an all-around camp and hunting knife. Made in Sweden. Extremely popular worldwide. K-24. 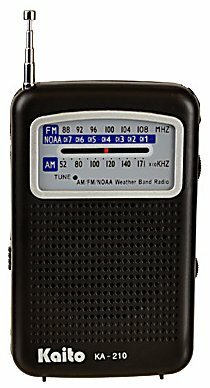 $18.95 Out of stock. Opinel Trekking Knife Khaki. No. 8. 4 1/4" closed. 3 1/4" 12C27 MOD Sandvik stainless blade with crowned hand hallmark etching. Kahaki (looks green) dyed wood handle. Brown leather lanyard. 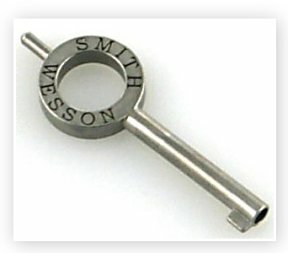 Safety ring for locking the blade open or closed. Nice, large oval handle makes these knives easy and comfortable to use. 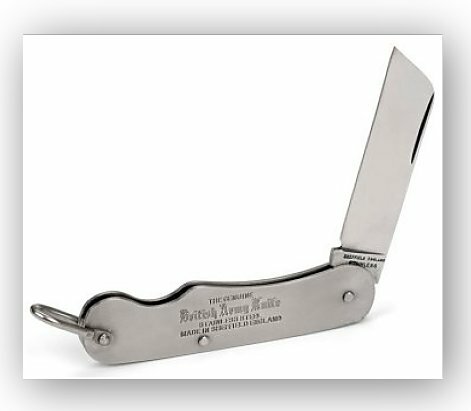 Traditional French utility pocket knife that holds an edge. 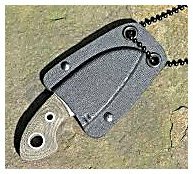 The most elegant neck knife available! 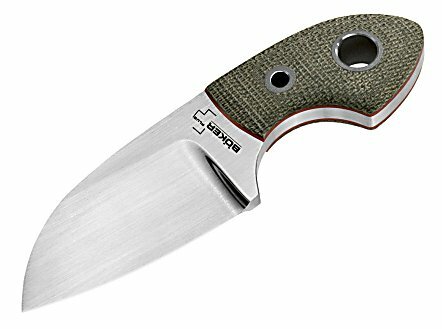 Boker Plus Voxknives Gnome. Neck Knife. 3 7/8" overall. 2 1/4" 12C27 steel blade. Full tang. Contoured green canvas micarta handles with red carbon fiber trim. 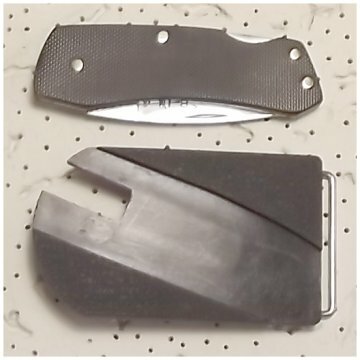 Molded black Kydex sheath. Black finish beaded neck chain. Mossberg 2pc Bird and Trout Knife Set. The perfect everyday companion! Closed length: 2 3/4". 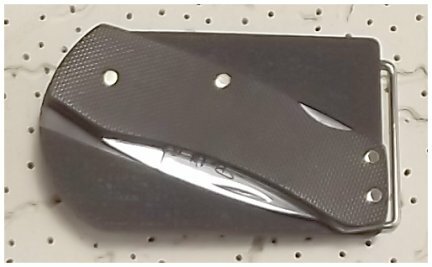 Blade length: 2 1/4". Overall length: 5". Weight: 1.1 oz. 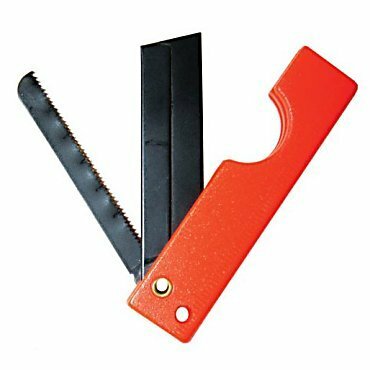 Two-Sided Hand Sharpener - Measures 2 1/8" overall. Orange side - 800 grit. Grey side - 500 grit. Small enough to stick in your pocket. For those who prefer a traditional sharpening stone. "I have never had a pair of tweezers in my life that was worth a damn. Now I do and I appreciate it very much." 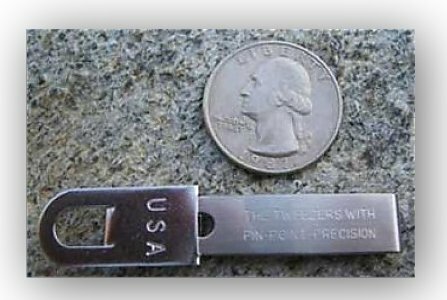 The ideal keychain handy tweezers! These tweezers are crafted from a single piece of spring tempered stainless steel. 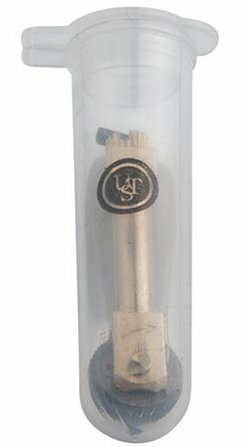 The locking top protects the points and secures the tweezers to a keychain so they are available when needed. Dimensions: 2.5" x 0.5" x 0.25" (6.3 cm x 13 cm x 6 cm) Made in CT, USA = NOW IN BLACK! S-Biners from Nite Ize. Black Titanium Finish, Stainless steel construction. Smooth wire gate operation. Conveniently attach, carry and hang any item you want conveniently accessible. Not for climbing. Extremely handy to corral a lot of small EDC items or for clipping an essential item to a coat or pack snap ring or button hole. Nite Ize S-Biner # 1 Black Titanium Finish. Two Pack 1 9/16" x 9/16". Load limit 5lbs. $5.75 for 2-pack. 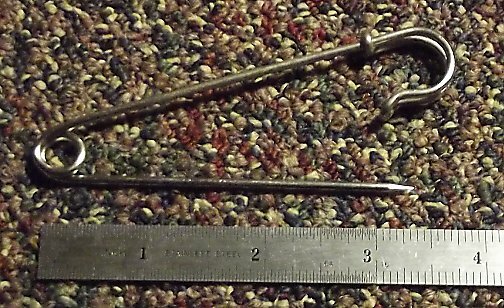 Dental Pick Set. All stainless construction. Extremely handy for detail work. The four most useful shapes for reaching into small places. Storage pouch with individual slots for each tool. I well remember begging my dentist for some of his old, broken down dental picks. 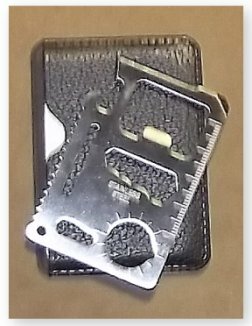 Credit Card Multi-Tool, stainless steel, slightly smaller than a credit card so it easily fits into a wallet or purse. It will be ready when you are. These were a really big deal back in the early days of the Survivalist Movement - everyone had one then. Now only $2.95 Click photo at left for more details. Mechanical Fisher with sensitive, flat trigger and stainless steel spring. The flat trigger is virtually foolproof and very sturdy, unlike the usual wire trigger design. Pre-Spooled with 9' to 12' of 60 pound test nylon. Use for survival fishing or as a snare for small game or birds. 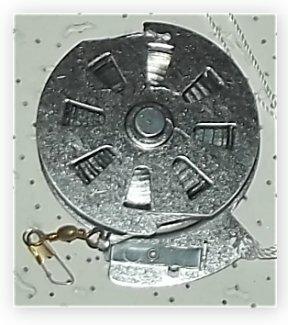 The spool is about 9/16" thick and 3" across. $5.95 Click on photo at left for more details. 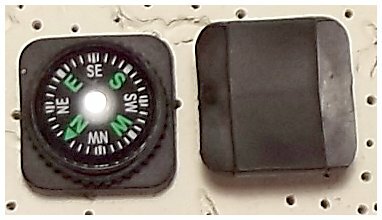 Navigator Compass ( REV 3 ). Slips easily onto a watch band or pack strap. Always handy when you need it. $2.95 Click on photo for details. 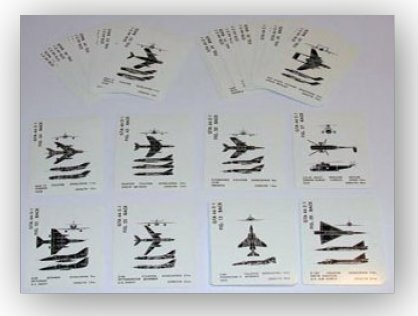 Issued by the U. S. Army in July '77 to train ground & air forces to distinguish friend from foe, this set of 54 cards features front, side and back views of US, NATO, Chinese & Soviet airplanes & helicopters, with visual features & technical specifications for each aircraft. These cards are in perfect condition. 2½"x 3½". Great conversation pieces! Very sturdy construction & extremely interesting. 54 card set. 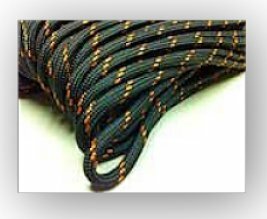 Maratac 550 PARA CORD, US ONLY - $7.95 @ 100 foot hank. 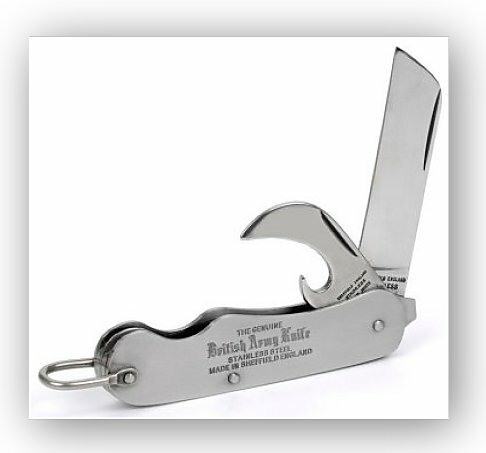 British Army pocket knives. These are traditional style heavy-duty pocket knifes. No plastic, just good high-quality stainless steel construction throughout. 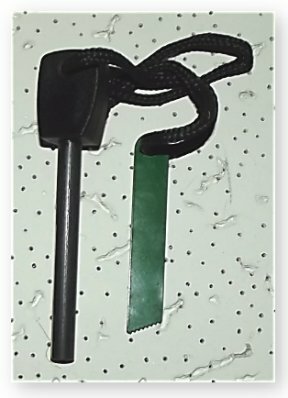 Safety lanyard loop. Both knives have a 2 1/2" Sheepsfoot blade. The 2-bladed version has a very sturdy can & bottle opener, plus a flat blade screwdriver on one end. OAL 3 3/4". Made in Sheffield, England. 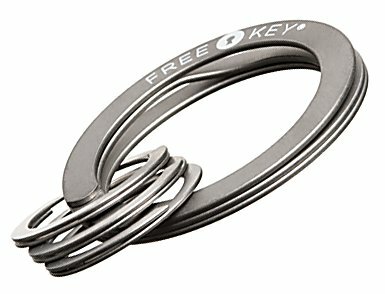 Nifty rings to keep keys and small tools organized. 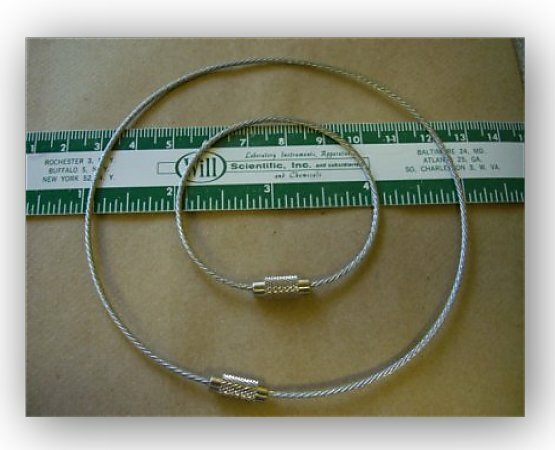 They are made from strong and flexible stainless aviation cable with brass screws and threaded barrels. 6" only in stock. 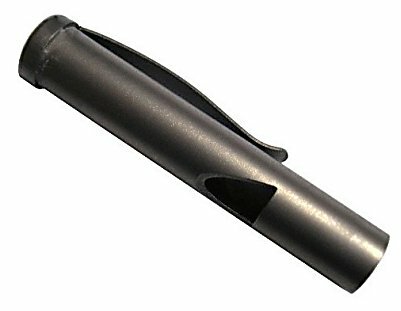 VARGO Titanium Whistle with pocket clip, Only 1 3/4" long and extremely sturdy. $9.95 Click on photo for details. 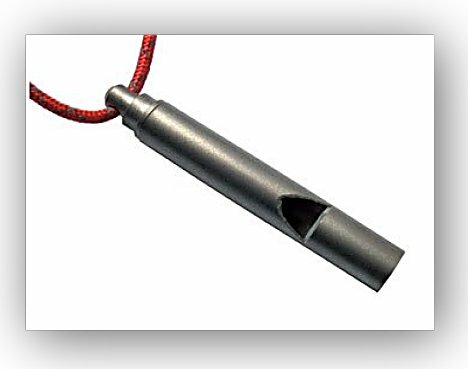 VARGO Titanium Whistle with neck cord, Less than 2" long and extremely sturdy. $9.95 Click on photo for details. TorqKey Screwdriver Ingenious design! Beloved for EDC use (Every Day Carry), the TorqKey design is very stout and amazingly versatile. 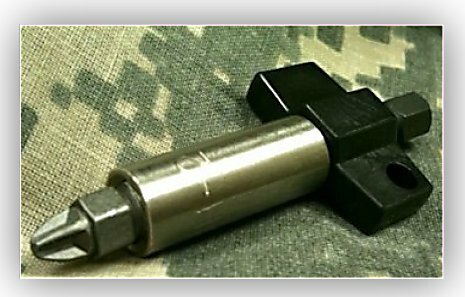 Supplied with a machined Phillips and a straight, hollow ground bit with 1/4" hex shaft. Use with any hex shaft bits! $5.95 Click photo. P-51 Can opener is an update of the World War II P-38 can opener for C-rations. At 2" long, the P-51 is stronger and easier to use. 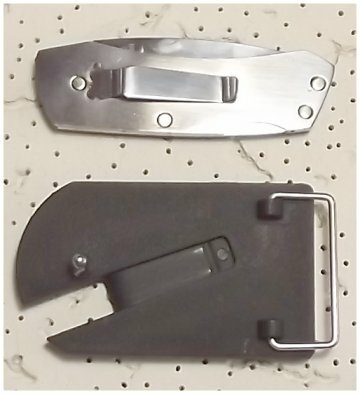 Key ring attachment hole, folds flat for carrying. US Shelby US Govt. #P-51-2-1503. 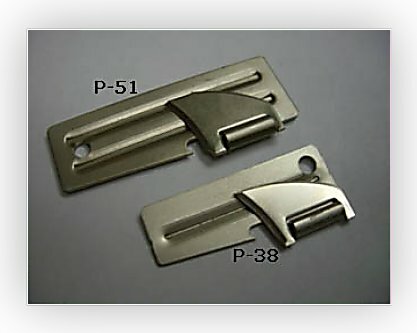 The P-38 can opener is 1 1/2" long and half the weight. In an emergency these small tools can open crates & boxes or move scope adjustments, strip wire insulation, etc, but the greatest utility is having a can opener available at all times for emergency use. US Shelby US Govt. Maratac has decided to make the new compact trauma shear for greater ease of portability with the same great quality and strength. These hardened stainless super shears seem to cut just about everything. Designed and built for the medical industry they have way more uses that you could possibly imagine. 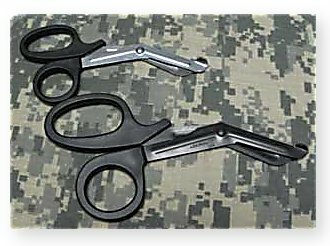 These are the compact size (5.75 inches) shears. Nothing wimpy here. Autoclavable at 290°F should you need it surgically clean. Black handles, black oxided blades. Not shipped outside U.S. because of the length. All seven of my Hard Times Survival Made Easier booklets, revised and expanded, including Nuclear War Survival by Miles Stair, with many new color photographs, on one CD in Adobe Acrobat 7.0. An outstanding value that will not disappoint. PLUS FREE EXTRA BOOKS as shown below!!! 8. "Family Shelter Designs" - Office of Civil Defense, 30 pages. 9. EMP - How EMP could be employed against the US. 10. EMP - Practical Protection, by Miles Stair. 11. Nuclear War Survival Skills book by Cresson Kearney, 527 pages. 12. 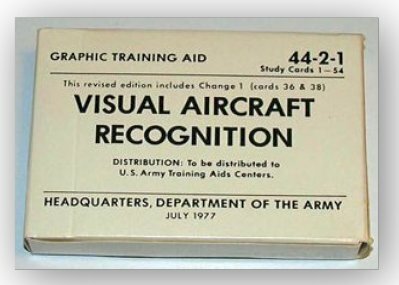 Recovery from Nuclear Attack, 24 pages. 13. Survival and Austere Medicine - full 213 page ebook - a "must have" book for survival. 14. Infection Control for Viral Hemorrhagic Fevers, 210 pages. 15. Emergency Food and Water Supplies. 17. Preparing for the Coming Influenza Pandemic. 18. Versatile mini kerosene heaters you can make. 19. Circular wick reading lamps - care and feeding of. 20. Kerosene heaters and stoves - photos, uses. 21. Nuclear Weapons Effects; 37 pages. 22. Defense Against Toxic Weapons; 60 pages. 23. Field Management of Chemical Casualties Handbook; 129 pages. 24. Medical Management of Biological Casualties; 182 pages. 25. Hendley's Book of Recipes, Formulas & Processes. 1914, 818 pages. 10,000 formulas! 26 - 30. Information to enhance survival during times of civil insurrection or rebellion. 31. Foods That Will Win The War And How To Cook Them (1918), 126 pages. 32. Planning Guidance for a Nuclear Detonation. Homeland Security. 97 pages. 33. Shelters, Shacks and Shanties. 274 pages. 1914. How to build shelter in the woods. 34. Appleton's Cyclopedia of Applied Mechanics: Mechanical Engineering and the Mechanical Arts. 1884. 999 pages, 5,000 illustrations. Fabulous reference for how things worked before the age of electricity. 35. Hungry Forties. 291 pages. Meals and living in a terrible government-induced depression. 1904. 36. MEDICAL EMERGENCY RESPONSE TO RADIOLOGIC INCIDENTS, 9 pages. 37. Harness Making, with numerous illustrations. 1904. 111 pages. 38. Twenty (20) complete century-old how-to books on traps and snares, 218 MB's, an incredible selection. 55 articles/books in total, many with unique survival information unavailable anywhere else. Includes SEVEN PREP BOOKLETS FROM FEMA! And an Adobe Acrobat Reader 5.0 program. We carry some items we have found to be extremely useful for any survival situation, plus the very useful information available on CD's. All items go into the same "market basket" to save on postage costs. Kerosene heater wicks from www.MilesStair.com also go into the same "market basket" to further save on postage costs! Cannot add more than 1 item in your cart? Turn on cookies on your browser. Items cannot be added to open cart window. Postage costs are listed on the "Order Form" page. 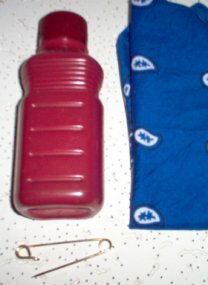 In this new era of terrorist bombings, a bandanna, a small bottle of water and a safety pin should be carried at all times. If caught near a terrorist blast of any kind, the bandanna should be folded (or cut) into a triangle, put over the nose and mouth and tied behind the head. The safety pin will secure the knot. The bandanna should then be saturated with water. The wet cotton will filter out almost all dust and keep your nose, mouth and lungs clear of most toxic fumes and particles - including radioactive or toxic particles! The small kit could also include a small Clip-Lite or Pocket Light so you can see your way to safety, a small razor knife for cutting bandages, curtains blocking your path, etc. These items can all fit into a small kit. Remember the images of people exiting the area of the WTC buildings on 9/11 and the London bombings of 7/7, their faces covered with soot and gasping for breath? Many of them had severe lung problems from breathing toxic fumes and inhaling dust particles. They were not prepared! A wet bandanna will cover the nose, mouth and neck, providing good protection from dust and debris and filtering out most toxic fumes...very simple and cheap insurance. It's worked for cowboys caught on the open range in dust storms, and it still works today. And yes, cowboys used a safety pin to secure the knot, 'cept they didn't call it that. Look closely at the bottom of the photo below and you will see a genuine, gold plated buckaroo "bandanna pin." 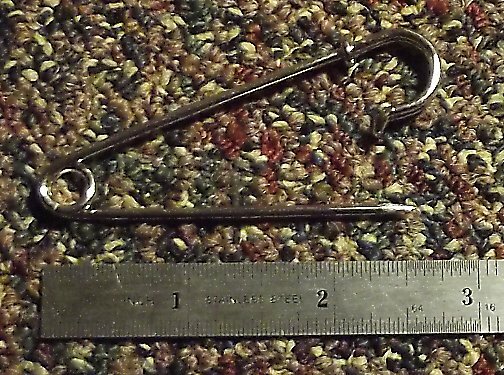 A large safety pin will work just as well. Be sure to thoroughly wash and dry the bandanna before use to remove any starch and dust in the fabric. When very dry and still warm, pack into a zip lock baggie and squeeze out all the air before sealing. The bandanna will then be kept in perfect condition until needed. A good water bottle to carry is a small but sturdy plastic bottle, such as the kind for purse carry of "Waterless Hand Cleaner" or any thin plastic bottle designed for pocket carry (rinsed and cleaned thoroughly, of course, before filling with water.). The water bottle shown above is larger, but perfect to put into a storage bin in your vehicle. The bandanna is available in department stores, most everyone has large safety pins laying about, a small flashlight is inexpensive and a razor knife only $1.95. Total cost for a package small enough to always be with you = less than $10.00. All of these items will fit into a Personal Carry Case and always be available when needed and still cost less than $20.00!!! Adding small, sturdy screwdrivers to the kit would make it possible to remove door hinges, pry open elevator or subway doors (or windows), etc. The extra items are luxuries, but carried at all times they could save your life in an emergency. At least carry a bandanna, a large safety pin and a small bottle of water. It costs so little to save your own lungs! If you must have nourishment available to expend the energy to hike long distances, consider packing a very small vial of corn meal and another of honey. A teaspoon of corn meal will expand in your stomach and eliminate hunger cramping. A teaspoon of honey will provide energy and electrolytes. They must be taken with adequate water. Those small quantities taken once an hour provide enough energy to keep you going when otherwise you would become too weak to keep moving. If you live in a large city and are dependent upon public transportation, please carry enough cash in your emergency pack to get home IF transportation services are available. Do not expect ATM machines to be working! What you have with you in your small survival/emergency pack can make the difference between safety or misery, life or death. "I saw the orange flames but I didn't hear it, I could barely breathe." Chicago Fire Commissioner Raymond Orozco said 152 passengers were taken to 12 hospitals, primarily to be treated for smoke inhalation, and 33 others refused treatment," commenting on the Chicago subway fire on July 11, 2006. If those subway passengers had carried a small bottle of water, a bandana and a safety pin, they would most likely not have suffered lung damage from smoke inhalation. So simple, so cheap, and so effective. I do not use United Parcel Service. Postage rates are shown on the Mail Order Form page. All prices shown above do not include the postage cost. Please note that postage prices took a huge jump on Jan. 16, 2016. Priority Flat rate to Canada went from $12.95 to $19.95, and Priority Flat Rate to Europe went from $16.95 to $23.95. First Class mail costs jumped 60%. I have no choice but to raise my postage rates. Rates also increased for domestic delivery. Due to a very large increase in postal package shipping costs, any overseas orders weighing more than 12 ounces or with items more than 3/4'' thick will incur an additional cost of $7.00 to cover the cost of mailing. Why the thickness limit of 3/4 inch? The postage rates on packages went up so high on Jan. 16, 2016 that a package (3/4'' thick or more must be mailed at the package rate) yet weighing less than a pound now costs $23.00 to mail to Australia, for example. Many of the items listed above cost less than $8.00 dollars - far less than the extra cost of mailing them out of the US. I will refund the purchase price of any items which are simply cost-prohibitive to mail out of the US. Philippines orders - There is a mail agent for reliable delivery. Email me for details. The Ukraine is now prohibiting all priority mail, which actually means there is no en route tracking available nor can packages be insured, so orders mailed to the Ukraine are at the buyer's risk, not mine. All orders mailed every day about noon except Sunday and holidays - no backlog, ever. If delivery is slow it is because of delays in your customs and delivery offices. Packages do eventually clear customs, but it can take some time. Please be patient!!! Slow delivery is not my fault! Orders mailed to Australia and New Zealand often arrive in less than a week. For comparison, German customs in particular is now delaying packages for up to five (5) weeks while denying they have the packages. All packages sent to Germany must have the invoice on the back of the package to warm the hearts of customs agents and justify their existence. International Buyers - Please Note: Import duties, taxes, and charges are not included in the item price or shipping cost. These charges are the buyer's responsibility. Please check with your country's customs office to determine these additional costs, if any. Customs label show exact value of contents, contents labeled as "tools," in a plain package. If you wish your order split into several packages to lessen or avoid import fees/taxes, send me an e-mail quickly after ordering. I the past I stocked products and make special orders from CountyComm but no longer. I stand behind what I sell. Overseas orders: If you have problems with importing, such as slow delivery time, getting packages through customs and reliable delivery due to sticky-fingered national postal service employees, a freight forwarder can often be of help. One such service is Myus.com and another is Goopping. Check their rates. I would ship to their US address in Florida at lower cost and they would handle delivery to you at much greater cost. Prices subject to change depending upon availability and cost of the items. Prices listed on items above are valid as of today. Sorry it is complicated, but the items range from very light to quite heavy and postage is calculated by the amount of purchase, not the item. A recent poll finds that fewer than half of coastal residents are prepared. "It takes just one hurricane over your house to make for a bad year," says Max Mayfield, director of the National Hurricane Center. He and his colleagues are placing an extremely high emphasis on individual preparedness, which means being able to take care of one's family unassisted for at least 72 hours. SORRY, THE SURVIVAL SHOP DOES NOT HAVE FACILITIES FOR WALK IN CLIENTS, BUT OUR WEB SITE REMAINS OPEN 24 HOURS TO HELP YOU. I want to thank you because it is a pleasure to deal with you. Thank you for the quick order processing and of course the quality of the product that you offer us. I must say that the shipping was among the fastest I have ever been given. The products you offer and the price you offer them at are far better than anywhere I have seen on the web. Please continue to keep up the great service! I too have seen the degradation of triox fire cubes. All of the "cooking cubes" I have seen have a limited lifespan. What I am using consists of two cubes, comprised of highly compressed brown paper which has been infused with paraffin. They are for starting fires, not cooking, and have unlimited shelf life. 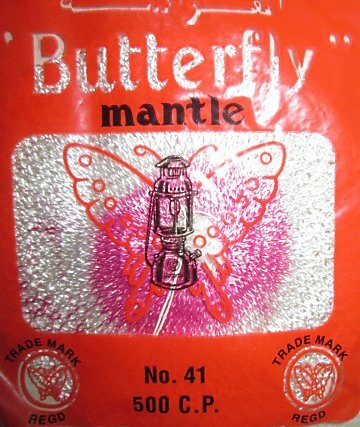 There is also a quantity of fuzz of the same material in each package. The material is impervious to absorption of moisture. Each cube can be broken into quarters. There is enough fuzz to start each of the resulting eight cubes. Each cube will burn for approximately 10 minutes, easily long enough to ignite small sticks and twigs broken from the sides of trees or other dry debris. In addition to the cubes and fuzz there is a packet of 0000 steel wool. Pieces of the steel wool can be expanded, wrapped around dry native tinder material (or the fire cubes) and be ignited with the flint wheel sparker. Both must be blown upon to burst into a blaze after being started with the sparker. The tinned box fire starter kit is full. Removing some of the steel wool could result in enough space for an AAA Delrin battery locker filled with naptha lighter fluid, if desired. I have only tested for evaporation of naptha in a Delrin capsule for six months but it should last considerably longer than that. I received all my ordered packages safe and sound. Interesting stuffs, good price and great service. Got my gear today! Just thought I'd say thanks for the prompt reply, quick delivery, well packed gear and overall great service. Marcus in Sweden. The light arrived this morning safe and sound. Under 6 days after placing order from Oregon to Southern Spain. Not bad. Ramon in Spain. I received my recent order in the mail today. Two days! Now that's a pretty quick turnaround. Once again, packed for a short trip into space. Thanks, as always for quick and accurate service. The comments continue back to 1997.